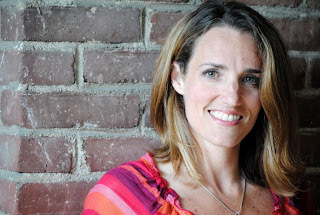 Did you know that nearly a third of conference-goers* are attending for the first time? And many of them do not know a single person. That might even be you! Just a few hundred of the first-time attendees at the 2016 summer conference. I've had the honor of welcoming hundreds at the summer conference, so I thought I could share some (possibly) helpful information with you here. I repeat, you are not alone. There's a reason Lin Oliver calls us a tribe. This conference can open doors (it does open doors) in so many unexpected ways. More than the editors/agents in attendance, it might be the person sitting next to you who impacts your writing/illustrating life in unexpected ways. Take the leap and say hello. On Saturday night, from 8:30 to 9:30, there is an optional social for first-time attendees and new members. Check it out, and meet some new friends. Also, don't miss the Gala dinner, just prior, where you can connect with your fellow regional members. And, hey...food and drinks! "What do I wear?" is one of the most frequently asked questions. Because it's winter in NYC, you'll want some outdoor layers. As for the conference, think business casual in your own personal style. And consider, if you had the opportunity to speak with a publishing professional, would your look say, I take this seriously. As for the Gala on Saturday, you can can go in whatever you were wearing during the conference day, but if you want an excuse to change and gussy up a bit, by all mean, do so. You can have a very successful conference experience without speaking directly to editors and agents. These wonderful industry professionals are in demand. The good news is that most will open their doors to submissions just because you are at the conference. Take the time to learn as much as you can about each and decide who might be a good fit for your work. Then, when your work is ready, submit. Think about a few things you'd like to accomplish at the conference, goals that are realistic and achievable. If you do that, there's no doubt the experience will be a successful one. 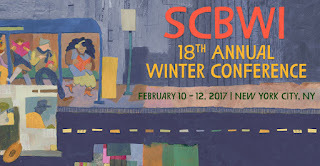 Also, check out the SCBWI conference blog (SCBWI Team Blog will be live blogging from the conference floor) and follow the hashtag #NY17SCBWI. *This estimation is my own based on past conference attendance.